When I started entertaining the idea of being a police officer, nothing prepared me for the experience. Like most people, I had misconceptions of the role of cops and how to deal with them. “Adam-12” was a popular show on television in the 1960’s. The long-running series portrayed two clean cut white guys patrolling the streets of Los Angeles. These shows instilled in the public the idea that cops arrest bad guys and serve with halos over their heads. Television fostered an unrealistic perspective of law enforcement. They promoted an ideal, not reality. Today, confidence in law enforcement is at record lows and in contrast, the “good guy” image of “Adam-12” seems like propaganda. Schools taught children to respect and fear the police. Adults relied on “yes sir” to navigate their way through any interaction with law enforcement. We understood the implicit threat that we should never lie or a jail cell was waiting for us. Most youth had a police officer visit their elementary school. Our jaws dropped when we saw a real gun on their hip, knowing they had the means to kill us. Early on, this reinforced the idea that cops had the power to lock you in a cell with a murderer or other criminals. They didn’t visit your school with a prosecutor and judge, after all. More mischievous kids had parents who called the police to their homes to scare them straight. Schools taught that cops were the authorities and they acted independently. Courts lurked in the background like a vague process to clear up the details. When the time came for me to choose a profession, this career seemed promising. I reasoned that I was not a criminal and who better to work with than “the people”? Like you, I was brainwashed into thinking cops were the pillars of society. One of the biggest misconceptions of the general public is the image of the police academy. This is where recruits learn how to be cops. From the cadet viewpoint, they believed training, tactics, criminal law and procedure would get them ready for what they will encounter on the streets. The public hopes cops learn first is that their tax dollars pay their salaries. Second, they expect cops understand every household is unique and that some consideration for circumstances should be given when making decisions. Nobody wants a by-the-book cop showing up. This leads to many conflicts between citizens and law enforcement because the public does not understand what cops do. Our academy conducted “Training Officer” classes. Cops from around the region visited and we role played certain scenarios to let cadets get the feel of how to handle problem issues. Training Officers are also responsible for new officers, or rookies, once they graduate from the Police Academy. I can honestly compare this to the parent-child relationship. Rookies learn police reports are legal accounts. Each element of the crime must be reported or your Watch Commander will make you rewrite it until it was right. Another issue was collection and preservation of evidence. This went along with your reporting as the foundation of the prosecutor’s case against defendants. So the public needs to understand that cops are always building a legal case. They are looking for evidence that will incriminate you. They don’t view you as their boss, they don’t care about your circumstances. Every call is the beginning of a legal process. There are reports to write and evidence to gather. Understand what “can and will be used against you” means. Cops can and will get every detail that can be used against you in court proceedings. This doesn’t make them inherently bad. It means you should treat them with the same wariness you view your ex’s attorney. The misconceptions of what they are doing is causing many of the problems. While cops do assist the public and respond to emergencies, they are not your friends. Law enforcement carefully crafts an image for the purpose of making their jobs easier. They are not your advocate. They are literally the “long arm of the law” and they back that up with a gun. 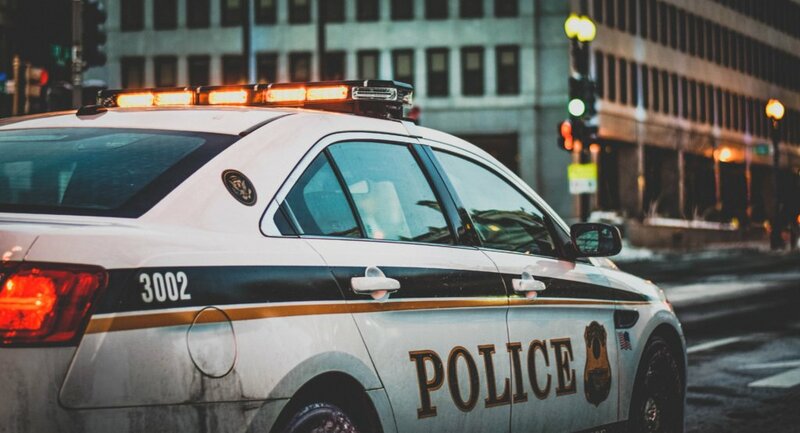 Lose the “Adam-12” image and starts seeing cops for what they are — the first step in the legal process and one you don’t want.